A few years ago I went to a psychic, actually I've been to a few over the years, and while I take what they say with a big fat grain of salt, something this one said in particular has stuck with me and has been replaying in my head as I contemplated my word for 2015. She told me I was too nice, she said that I put others before myself too much and that I let people take advantage of me. She said that I was the type of person that if I had an apple and 10 of my friends complained they were hungry, that I would cut the apple into 10 pieces to share with all my friends and not leave any for myself. She said I was the type of person that went to movies I didn't want to see and shops I didn't want to go to because I wasn't the type of person to push what I wanted..... I didn't really think much of it at the time, just kind of shrugged it off thinking that she could have really been describing anyone...I mean isn't that what most people did, that's my personality. For a long time I thought the word was going to me ME as this year is really all about me and doing what I want but something in the last 24 hours has changed that and I have settled on enough. I think it's more this saying that the actually word in isolation that has struck a cord with me. This saying is what I need to remember. 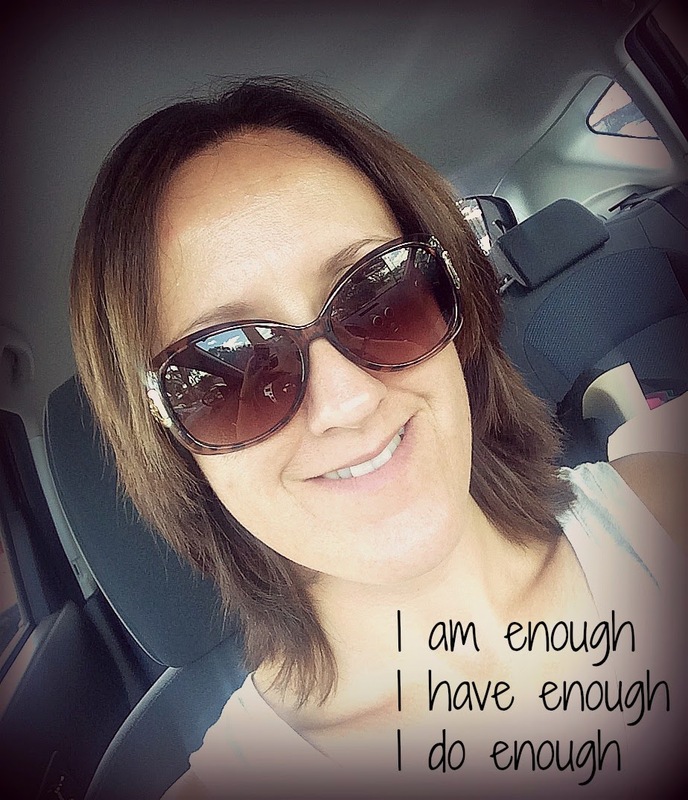 I am going to stop focusing on my flaws and focus on my strengths because I am enough. I am going to stop wasting money on trivial things because I have enough and I am going to stop doing everything that I am asked to do and do the things I want to do because I do enough. So while it may sound a little selfish I am going to focus more on me and less on pleasing others or doing what others think I should do, or what I think others think I should do (does that make sense!). I am not going to do this to the detriment of my personality or my friendships, I am not going to change who I am, just shift my thoughts and my focus a little. So NO you cannot have my apple and NO I am not going to see that dodgy movie that I don't want to see just because you asked me to!! !